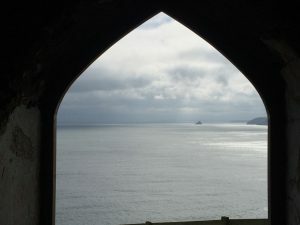 My latest posts have resulted from my end-of-holiday travels in this beautiful county of Cornwall as I strive to make the most of my fortunate location before work resumes soon. 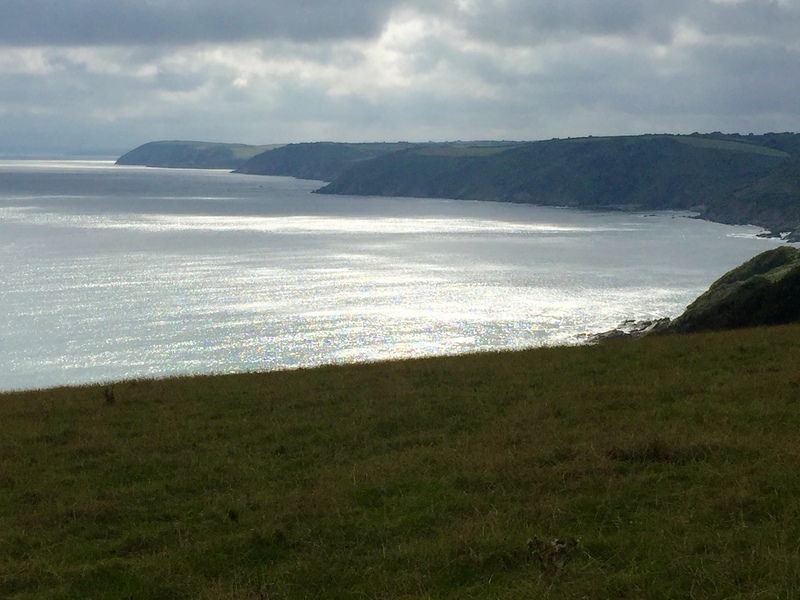 On Sunday we went to the Roseland Peninsula, named according to one source after the Cornish for ‘heath’. Its bulk mirrors the landmass around Falmouth, across the Carrick Roads/Fal River estuary that forms its western boundary. 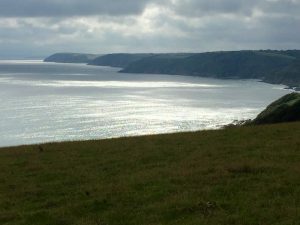 Most of Cornwall’s coastline forms part of an AONB, of which the Roseland Heritage Coast forms part. 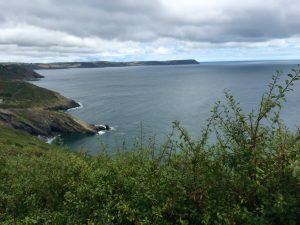 I recently wrote about my excitement at seeing a chough at Cape Cornwall; I didn’t see any on this trip, but there is apparently a pair that has successfully hatched three chicks in the area this year – the first time since the 1820s: link to the story HERE and for the RSPB Cornish Choughs project and further info see HERE. We started at Portloe, a tiny cove with pretty cottages clustered round its small natural harbour and clinging to the steep valley slopes around. Its name comes from the Cornish for cove pool: ‘porth logh’ (presumably Scots ‘loch’ is their Celtic equivalent). From the 17C it was a busy fishing port, but like most of the Cornish fishing industry (and mining, as I’ve written often before) it declined sharply in the 19C and early 20C. Now just a handful of small working boats survive. Overlooking the slipway is the Lugger, a fashionable hotel/restaurant; the Ship is a more homely, less hip pub a few yards up the hill. Smugglers would have landed their contraband in tiny inlets like this, and the Lugger is said to have played its part in the past. the county peninsula, was originally made by the coastguards and revenue men who tried to intercept the smugglers. It’s a struggle much romanticised in fictional and film accounts; in reality it reflects the hardship endured by many of the people who lived (and still live) in this impoverished rural area, striking a harsh contrast with the privileged minority who owned and managed the mines and harbours. typical Cornish summer conditions. Dark, rain-threatening clouds blow rapidly over, pierced at times by bright, hot sunshine. It’s like several seasons passing in just a few minutes. Two miles away it can be raining while we bask under glorious blue skies. 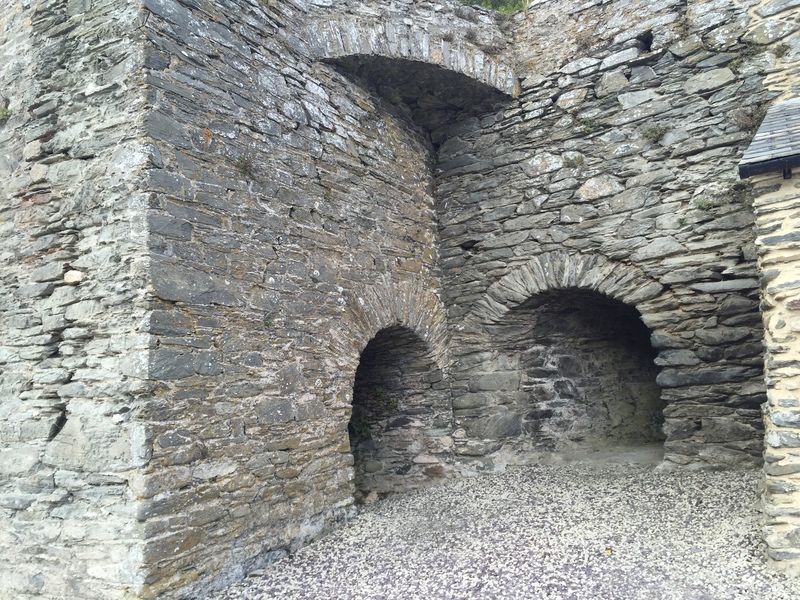 On to Portholland, with its tiny cluster of buildings, remnants mostly of lime kiln workings. Typical Cornish granite crags and cliffs loom around the tiny cove. A few miles on we stopped at Porthluney beach, below the grey ramparts of Caerhays Castle. 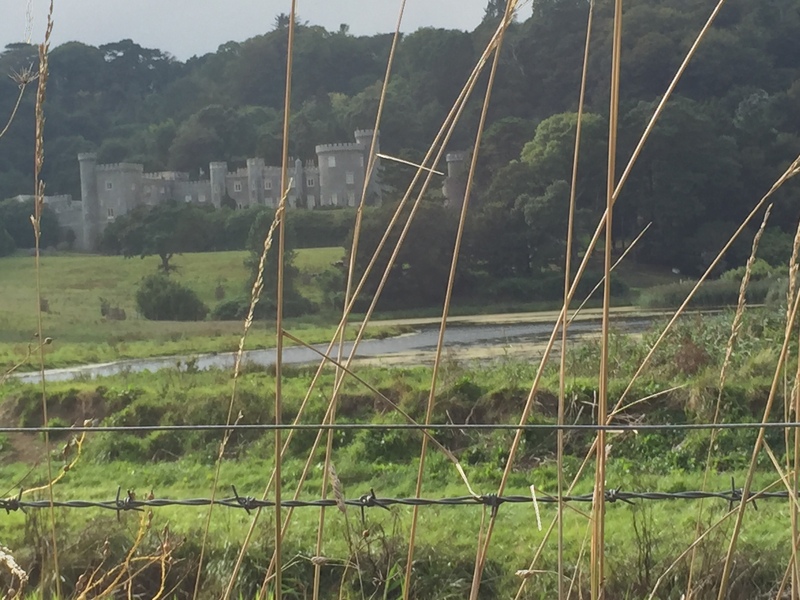 This curious building sits within a huge estate which passed to the Trevanion family in 1380. The gardens, which cover some 140 acres, were developed by the Williams family since the Victorian period, and are famous for their collections of magnolias, camellias, rhododendrons and daffodils. The estate’s owners have long been associated with mining (and also smelting and banking); the castle displays the remains of what was once a much larger collection of minerals, collected over the generations from their local mining interests in places like nearby Gwennap, from their overseas mining interests, and from other collectors. I don’t suppose the men and women who spent their working lives toiling above and below the ground – the hard rock Cornish miners I’ve written about recently – were much concerned with collecting samples of the rocks for the extraction of which they risked their lives and limbs. If they did they would doubtless have been arrested for theft. 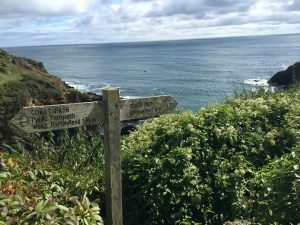 With a new series about to air on the BBC based on Winston Graham’s Poldark novels, we’ll soon be invited to marvel at Cornwall’s breathtaking scenery and reinvented heritage. 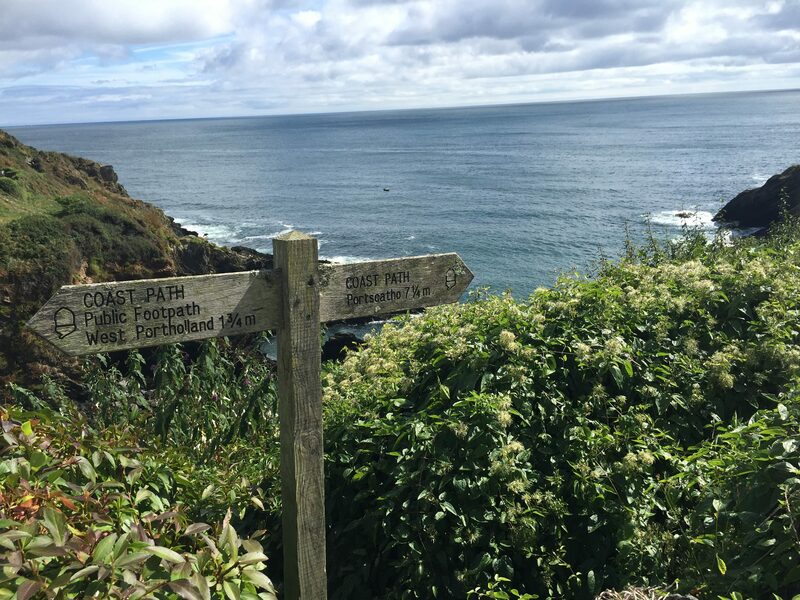 It’s worth remembering that there’s far more to Cornwall in reality than the chocolate-box charm and the picturesqueness represented on GWR advertising posters and soft-focus historical fiction (‘The Camomile Lawn’ was filmed partly at Portloe). From the hills above Caerhays one can see the spoil heaps of the clay area of Hensbarrow Downs around St Austell, a landscape so scarred by the industry that sci-fi film crews (like those who made Dr Who) have used it for alien world locations. Just inland from the nearest city, Truro, lies the Mining Heritage Trail, about which I’ll write soon. Crumbling engine houses and ruined industrial buildings dot these landscapes, a visual reminder of the long-gone industries on which the Cornish people once depended. The landscape itself there is pitted and scored, discoloured and ravaged by centuries of mine working. Webster could see ‘the skull beneath the skin’. Cornwall’s metaphorical skull isn’t even concealed beneath the land: it protrudes everywhere – in the granite outcrops and the hollow engine houses, the thronged beaches and the congested summer arterial roads. It contains Du Maurier’s romanticised Jamaica Inn (and the garish tourist site that has become) and the man engine disaster at the Levant Mine in 1919 when 31 men were killed. These post-industrial sites (more on them next time) are in many ways more authentically Cornish than the honeypot locations beloved of TV crews and audiences. And then there are the choughs. This entry was posted in Asides, Cornwall and tagged Caerhays, Cornish choughs, Cornish mining heritage, Porthluney, Portholland, Portloe, Roseland peninsula by Simon Lavery. Bookmark the permalink. Wow. What beautifully evocative language that is, Simon. Just love your “story of place” here. I had some similar thoughts about “romanticizing”, etc. on the Sunday of the long weekend I visited Dublin last September. I went first to Howth, a 30-40 minute subway ride to the northeast of downtown. It was exciting to visit, as my Great Aunt Martha (she lived with her mother in Dublin during the war, to get away from the Belfast bombing by the Germans) used to go there. She loved it in Howth, and would go there often on Sunday afternoon, after Mass, with her best friend, Mildred and they would walk miles and miles along the cliff paths. They both were seamstresses in a local department store, I don’t know which one. On a gorgeous Sunday afternoon in late September, it was filled mostly with rather posh looking Dublin people, buying fresh fish, eating at seafood spots, and trying to soak up the precious sunshine while it lasted. I went into a little arcade and there was a stand filled with old personal snapshots (probably from estate sales). There was one of Howth Harbor, on what was probably a Sunday, of people sailing toy boats and sitting around, that looked like a picture from the 1920’s-1930’s. I was struck by how much more raw the scene. These people looked as if they were in what might have been their one “good suit.” Much less fancy (I bought the snapshot) It was the same in Dalkey. 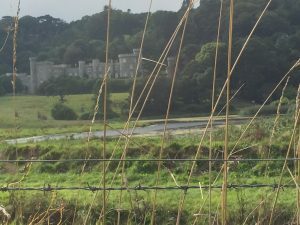 It is such a posh place now, when it used to be a little town south of Dublin. 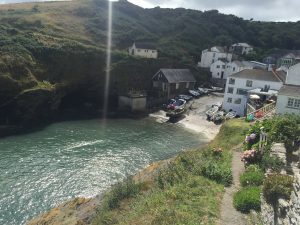 Another really interesting post – I’ve enjoyed hearing about the environment & social contrast that Cornwall has to offer, as well as its deep ( or maybe troubled?) history. Look forward to what’s next on your rambles. Although I suspect the ‘call to work’ that is probably approaching may curtail them. Thanks, Gmac. Yes, the history is often different depending on where the focus lies; there’s one narrative for the gentry, another for those who toiled. Lovely photos, Simon. Like your other commenters, I’m enjoying this series of posts on Corwnwall. 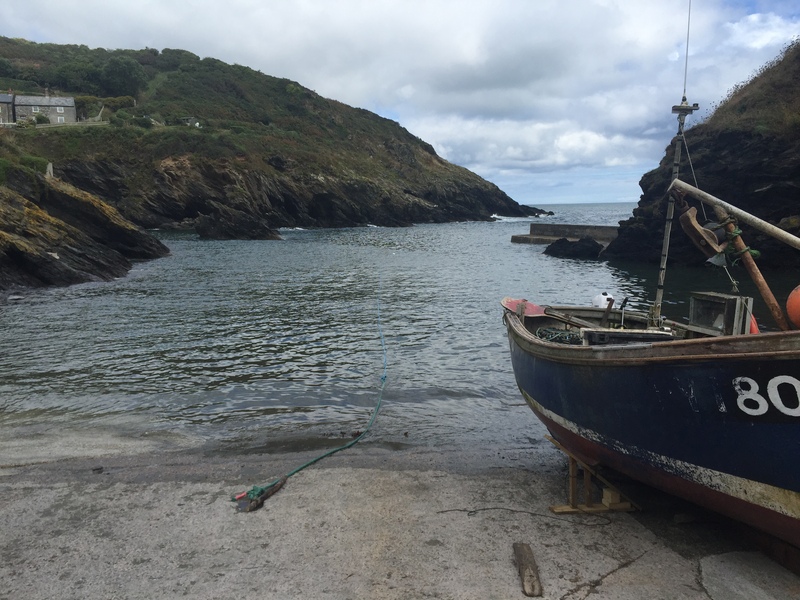 Portloe looks especially picturesque, thanks for sharing. I’ve been trying to make the most of the summer by going for a walk each day, sometimes just to the lake by the local common, but it’s good to be able to venture a little further afield if there’s time. We’re quite close to The Chilterns here, so lots of interesting places to visit. Thanks, Jacqui. Good to know these book-free posts go down well. 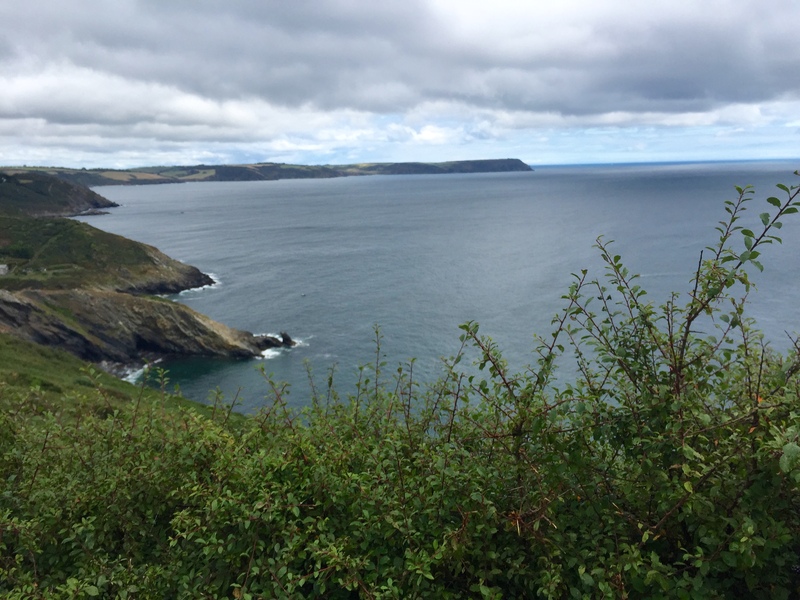 I find Cornwall’s environment particularly rich & varied. I know the Chilterns a bit – did A levels in Luton, taught in Dunstable. Looks absolutely idyllic and atmospheric – thanks for sharing your travels with us!